Moen stainless 5' shower rod delivers a lightly brushed warm grey metallic look. It also comes with a limited lifetime warranty. A genuine Moen product. 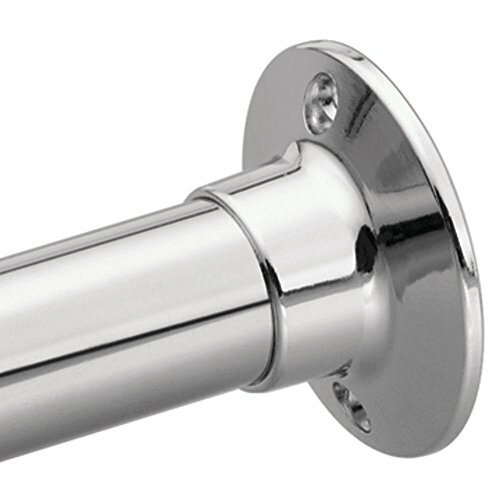 Moen donner collection chrome shower rod creates a bright, highly reflective, cool grey metallic look. It also comes with a limited warranty and is composed of high quality aluminum. Moen is dedicated to designing and delivering beautiful products that last a lifetime. Moen offers a diverse selection of kitchen faucets, kitchen sinks, bathroom faucets and accessories and showering products. Moen products combine style and functionality with durability for a lifetime of customer satisfaction.